When this post goes live, I will be enjoying a well earned break in little olde Paris! And probably eating these little cakes which are a Parisian specialty. A little something to have with afternoon tea. 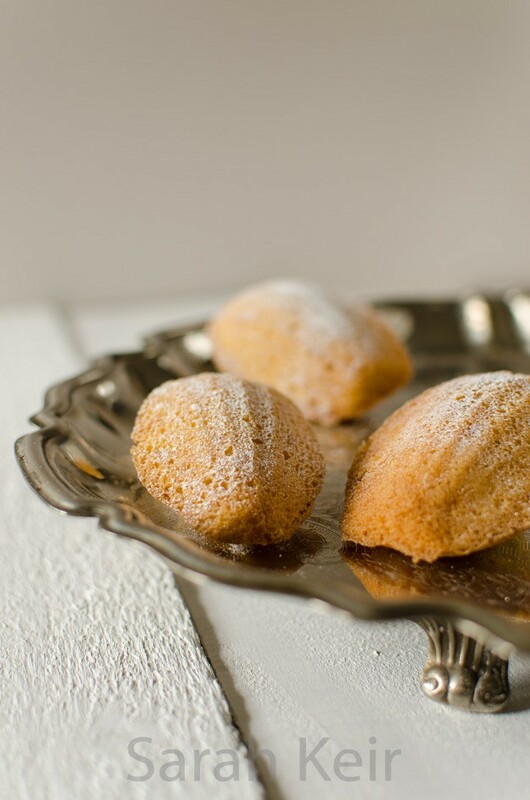 While drooling over guide books for Paris over the past few weeks, I felt inspired to make some madeleines. Just one problem; they require a specialist tin which seems rather wasteful for something to be made once in a while. But while surfing (the net, no water round here), I came across the Lakeland sale and there was the tin I needed, half price. Of course, I had to buy other tins to make it free postage but that really is not a hardship! 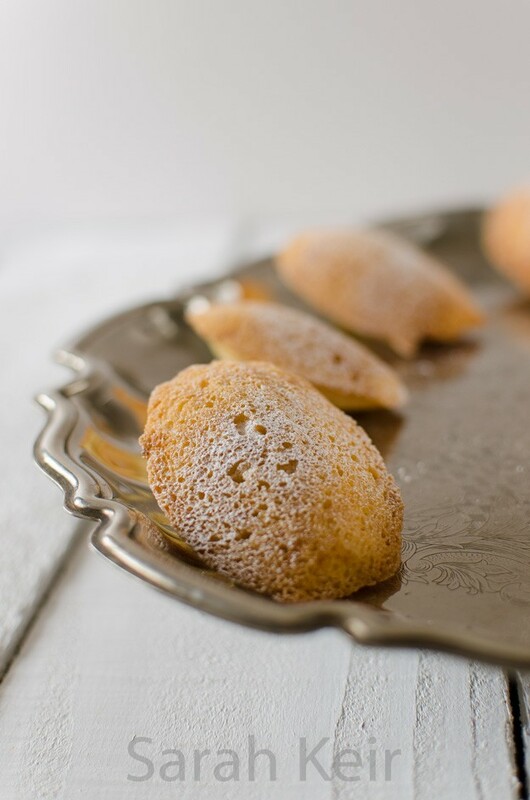 The batter for these cakes does not take long to whip together and it can sit for several hours up to overnight but madeleines MUST be eaten fresh from the oven; they really don’t keep as they dry out quickly. Who needs a greater excuse to eat them up fast? This recipe is a hibrid of Rachel Koo’s from ‘The Little Paris Kitchen’ and David Lebovitz from his website, because as usual I couldn’t decide which recipe to follow. 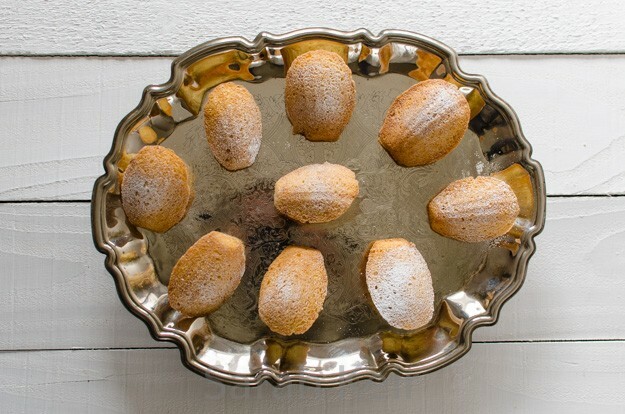 For this first attempt, I went with simple vanilla madeleines but next time I will try being more adventurous by adding fillings and glazes. 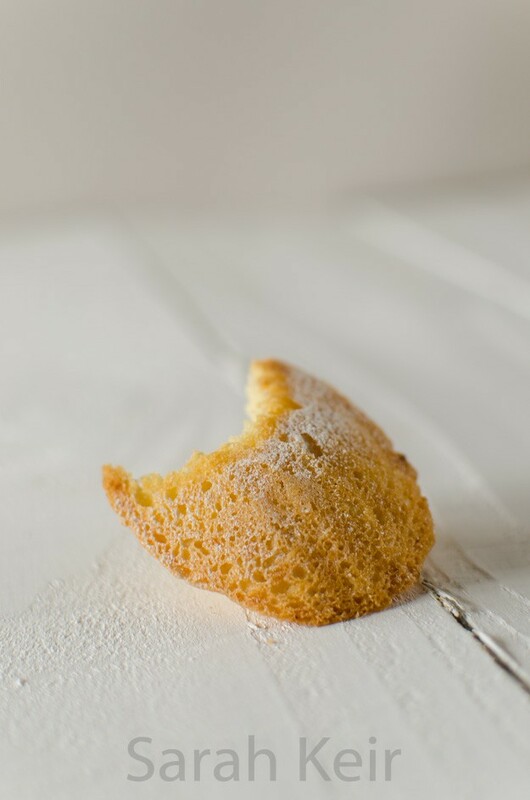 Apparently the way to tell a good madeleine is the size of the hump. There seems to be all sorts of magic and witchcraft (freezing the molds, freezing the mixture, no baking powder) involved in getting it to form, but forget all that and just enjoy them for what they are; a nice lump of cake! Prepare the molds by brushing with melted butter , dust with flour and tap off the excess. Place into the fridge or freezer. Beat the eggs and sugar until light and moussy. Sift over the flour, baking powder and salt and fold in with the lemon zest.Drizzle the cooled melted butter over this, folding it in as you go until it is all incorporated. Cover the bowl and sit in the fridge for at least an hour up to 12 hours. When ready to bake, preheat the oven to 200 ºC/ 190 ºC fan. Plop a heaped teaspoon of batter into each indentation; do not spread it out. Bake for 8-10 minutes until just set. Turn out to cool on a wire rack. Wash and dry the tin and pop it in the freezer for as long as you can bare, then repeat with the second batch. Eat as soon as possible!